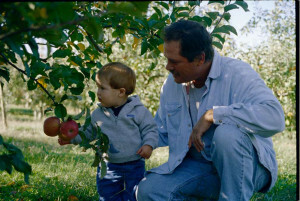 Enjoy a perfect autumn afternoon as you enjoy the sights, sounds and smells of the season on our Family Farm, Orchard and Restaurant with our Apple Pickin’ Tour. Y’all come on down to our down-home family farm and experience an afternoon that will remind you of those special visits to Grandma’s farm. 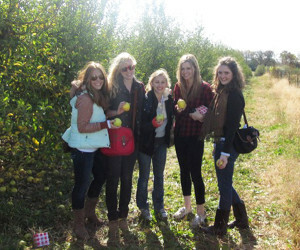 Begin your adventure aboard a tractor-drawn wagon ride and orchard tour. 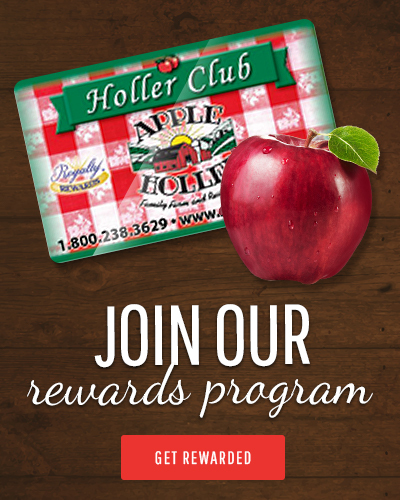 While in the orchard, you’ll step off the wagon and pick your own bag of fresh, delicious apples – taste as many as you like. Visit the Golden Goat Bridge and feed the friendly goats. Make your way into the beautifully decorated Red Barn Restaurant and Country Store, followed by a deliciously home-cooked meal that will “stick to your ribs”. Complete your visit, shopping in the Country Store. Memories to last a lifetime – Bring your camera!